Volvo has announced that the Swedish automaker, which is owned by Geely in China, will build its S60 luxury mid-sized sedan in Charleston, South Carolina, where it will be built exclusively for global consumption. It will be built at a new $1.5 billion factory due to open later this year, becoming the first Volvo car to be built in the United States. With diesel now becoming a four letter word, Volvo has dropped the diesel from the engines available leaving both ICE and plug-in hybrids. The powertrain line-up is expected to start with the 183 kW front-wheel-drive turbo-petrol T5 that reputedly can take the S60 from zero to 100 km/h in 6.5 seconds and delivers fuel consumption of between 7.2 and 8.1 liters per 100 km. A supercharged version of the 2.0-liter engine, producing 228 kW of power, motivates the mid-range T6 via all four wheels. A plug-in hybrid electric vehicle (PHEV) version of the T6 Twin Engine combines the four-cylinder petrol engine with a 65 kW electric motor for a total of 253 kW. The top-of-the-range T8 Twin Engine offers 298 kW of power from its petrol-electric AWD powertrain for a 0-100 km/h time of 4.9s. Built on Volvo’s modular Scalable Product Architecture (SPA) that also underpins the V60 and other new-gen Volvo models, S60 has the same dimensions as the V60 – 4761 mm long, 2040 mm wide and 1431 mm high – which makes it longer, wider and lower than the current model that is now eight years old. 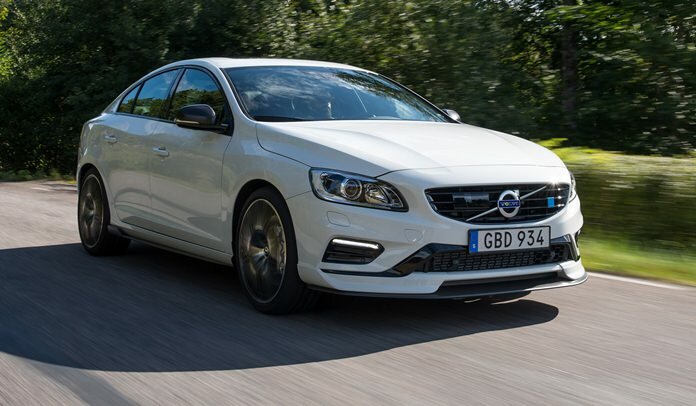 As expected with a Volvo car, the S60 has high levels of safety, including autonomous braking that now includes automatic braking to mitigate head-on collisions. The S60 gets the latest version of the company’s semi-autonomous Pilot Assist system that, like Tesla’s Autopilot, provides a modicum of steering, throttle and braking assistance on well-marked roads at up to 130 km/h. Other safety technologies include rear cross-traffic alert with automatic braking. The infotainment system with its tablet-style screen gets Apple CarPlay, Android Auto and 4G connectivity. Volvo took the opportunity of the S60 launch to show off its nearly completed South Carolina factory that will not only build the S60 for the world but, from 2021, the next-generation XC90 large SUV. The factory joins other plants in Europe and China in Volvo’s growing network of production facilities funded largely by its Chinese parent Geely which bought Volvo from Ford in 2010. Previous articleThai alphabet a good bet?